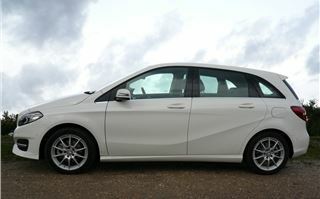 In refreshing its B-Class for 2015, Mercedes-Benz claims to have improved the fuel economy by up to 26%. For cost-conscious shoppers that could pay for a lot more trips to ALDI. But is this C-Max with status now any better to drive? The B220CDI 4Matic Sport we drove still sits on 17” alloy wheels with 225/45 R17 tyres. And, though it also had ‘comfort’ suspension, shocks from those tyres still fed through to the cabin. Better to stick to the SE on 16” wheels with 205/55 R16 tyres. Externally, the 2015 Mercedes-Benz B-Class is distinguished by a redesigned front bumper with more pronounced air intakes either side of a wider twin-strake grille and headlights with integrated daytime running lights. The rear bumper has also been updated and the rear lights are now LED. Inside, the satnav map and vehicle functions are displayed on a bigger, tablet style 7" screen controlled by a knob on the console. Strangely, though the car has a list of kit as long as both of your arms and your legs as well, Garmin satnav itself is an extra. 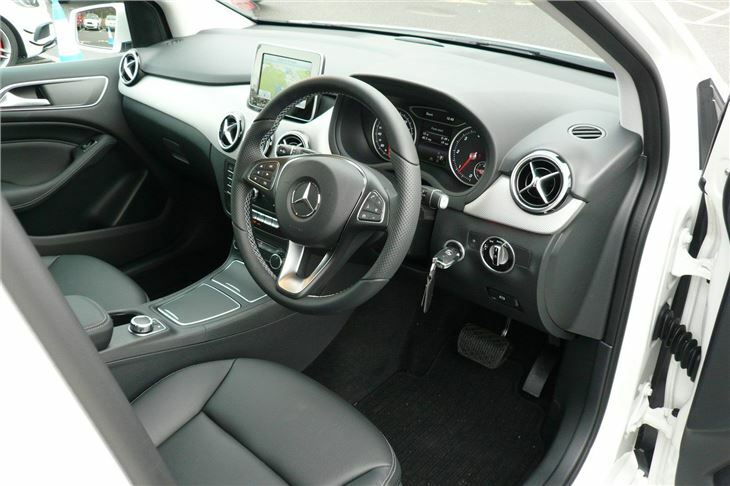 After a normal car, the B-Class driving position still feels slightly odd, but you soon get used to it. 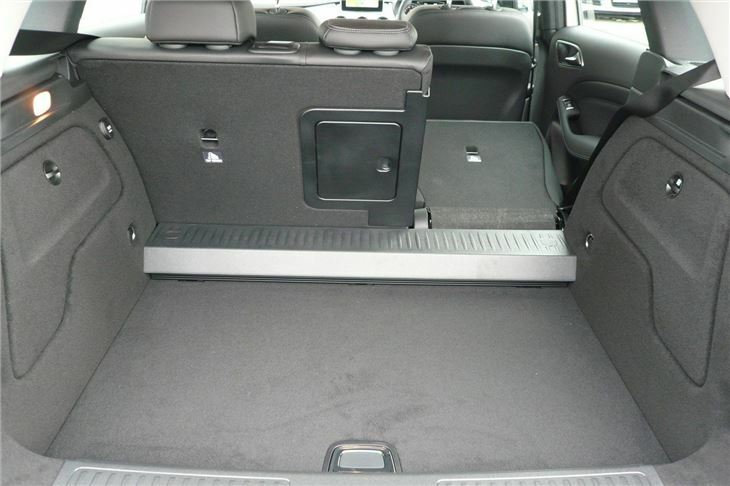 It’s a lot better than the original B-Class that made you climb in, then squash yourself down, like an SUV with a low roof. Seat and steering wheel are fully adjustable in all directions. The controls are light. B-Class automatics now have Mercedes excellent simple column stalk for Drive, Neutral, Reverse and Park, backed up by an electric parking brake. And all new Mercedes automatics benefit from a brilliant brake HOLD function. When you come to a halt in traffic, just press the brake pedal hard and release it and the brakes hold the car in position without blinding the driver behind with red lights. As soon as you accelerate away, it releases. Handling and Mercedes B-Class don’t really fit in the same sentence unless we’re discussing the C220 petrol AMG Line 4MATIC we drove in January. 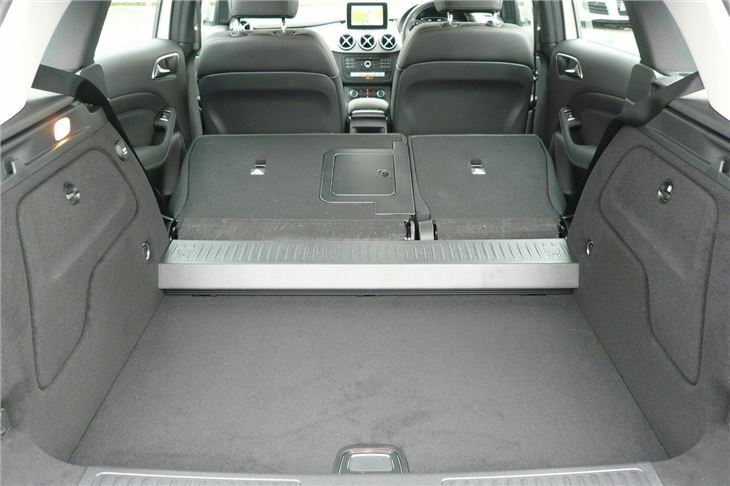 But, of course, all B-Class 4MATICs are four-wheel drive, and on cold weather tyres you don’t have to worry too much about snow. The upright seats are just what the doctor ordered. Or, more correctly, the chiropractor. 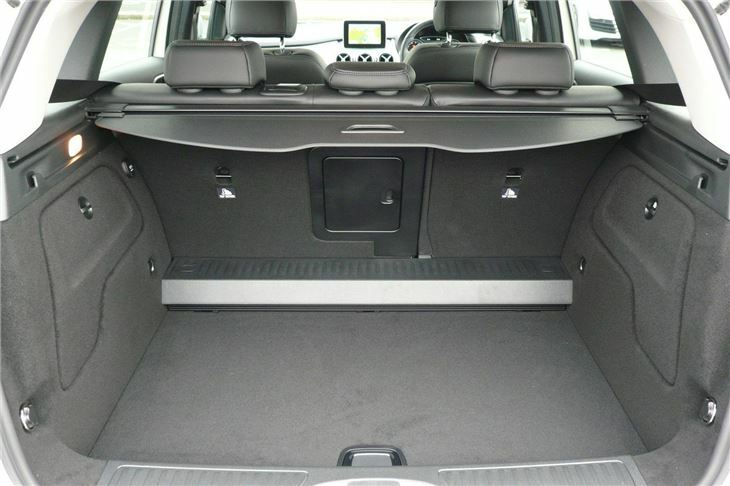 Access to the rear seats is excellent. 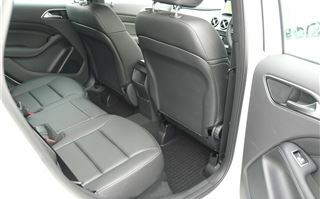 And the rear seatbacks fold flat 2/3:1/3. The seat itself slides on rails. 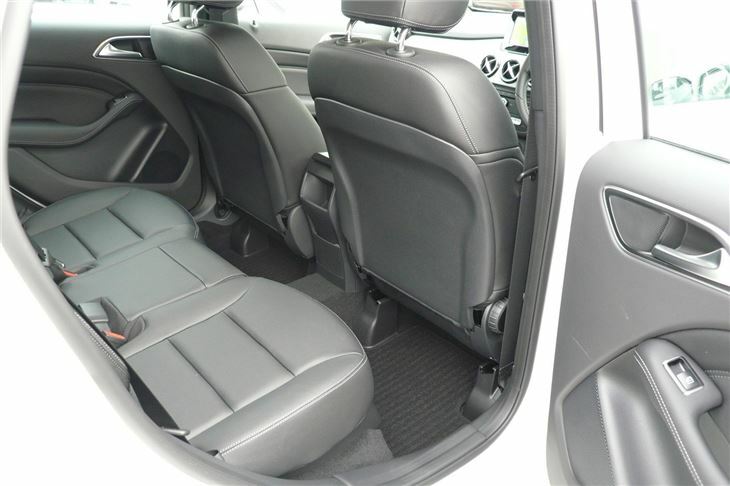 And the backrests can be locked in a comfortable semi-recline or bolt-upright to free up more luggage space. The load floor can be positioned at two heights. I didn’t get a chance to check the fuel economy properly, but the gauge on the dash was showing 38.9mpg, which is acceptable for a four-wheel drive diesel MPV being driven by a lot of different people on the same day. As always, beauty is in the eye of the beholder. 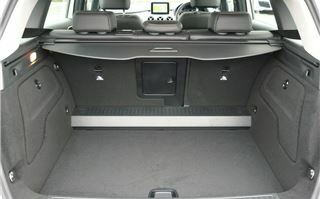 But I have to confess it took a few tricks to slim the B-Class down from its normal rather podgy look for the photos. 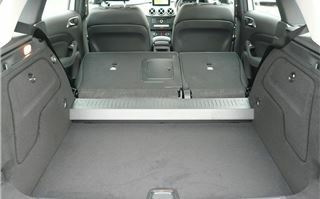 Though the B-Class comes with bags of kit and the availability of four-wheel drive, it faces some stiff opposition, not least from the Ford C-Max but also now from the BMW 2-Series Active Tourer and the Volkswagen Golf SV, which we rate very highly. However, none of the others have that all-important 3 pointed star on the front.